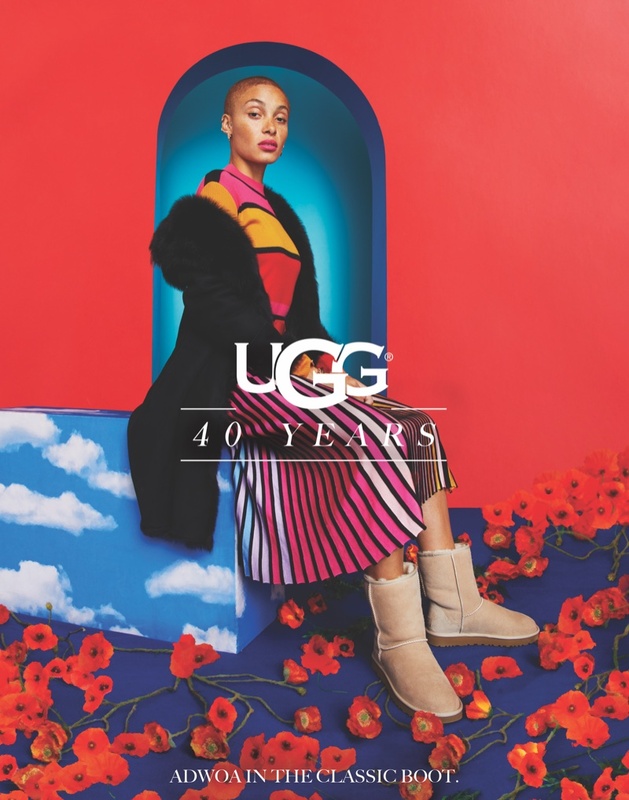 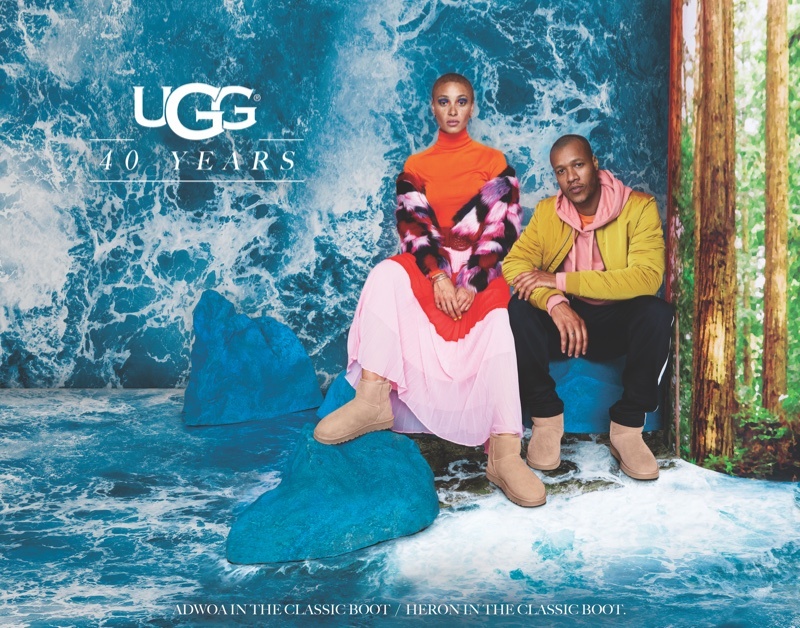 Celebrating 40 years of bringing forth a selection of smart boots, UGG launches its 40th Anniversary Campaign. 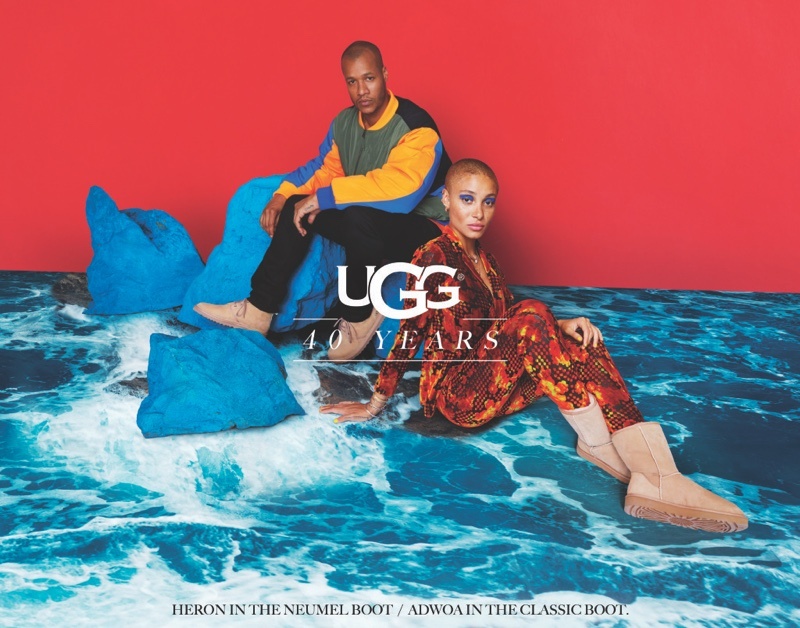 Featuring model Adwoa Aboah alongside designer Heron Preston, the campaign is photographed by Erik Madigan Heck. 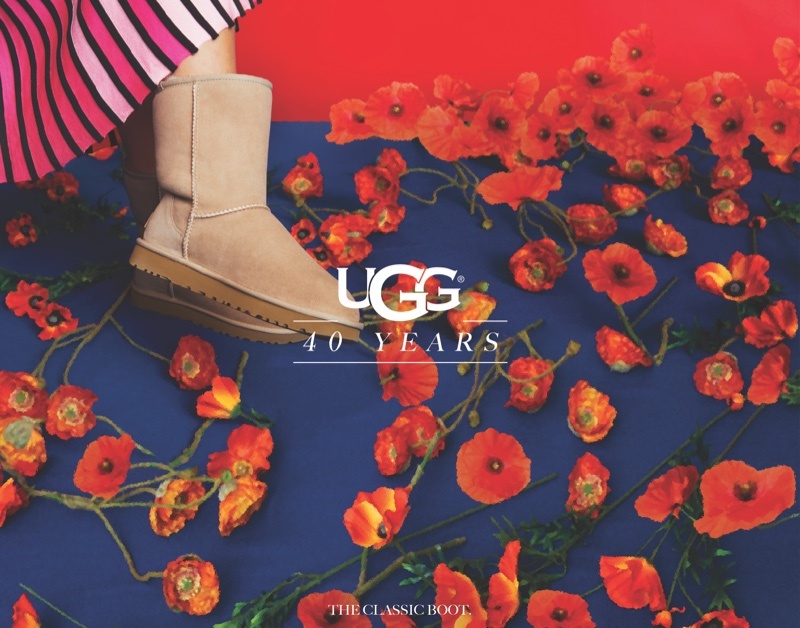 Presenting a backdrop of pretty poppies and scenes of the blue ocean, the campaign instantly catches the eyes and highlights its designs of the 'Classic', 'Sundance Revival', and 'Neumel' boots. 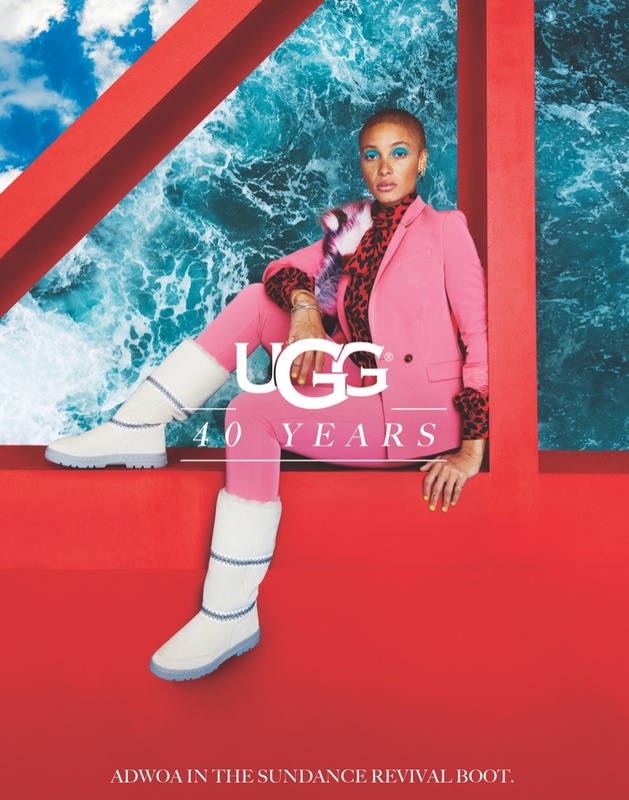 Model Adwoa, who is also an activist, stands out in the designs clad in animal prints, faux fur and stripes and celebrates 40 years of the beloved footwear label.